As Managing Partner of RDR Financial Group, Nilesh is highly regarded as one of the financial and insurance services' leading professionals. He has 15 years' experience in working with individuals, families and businesses in creating strategies, analyzing and implementing them to help his clients with their insurance, retirement and investment needs. 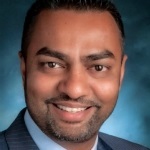 Soon after graduating from DePaul University with honors in Actuary Science, Nilesh joined New York Life Insurance Company as an agent in September 1999. During his tenure in Management from 2003-2013 at New York Life, Nilesh successfully recruited individuals with diverse talent, whom he developed and trained to build their career in the financial industry. He was able to help individuals grow and move into management, as well to build their own team. Nilesh grew up in India and migrated to the states in the year 1991. Nilesh also holds Diploma in Instrumentation Engineering and also help manage a successful family business back in India. Nilesh resides in Streamwood with his wife, Devanshi and his daughters, Ruhi and Raahi. In his free time, Nilesh enjoys playing golf and cricket. He is also involved in various social organizations and actively volunteers in his community. And also that... "You can't build a reputation on what you are going to do!" Nilesh believes in continuing education and proudly holds CLF. Nilesh Patel is a registered representative of and offers securities through MML Investors Services, LLC., Member SIPC. 1 N Franklin, Suite 2470, Chicago, IL 60606. 312-984-1000.